An initiative to promote Triathlon among young students at an early age, LS Sports which initiated the Triathlon movement in Gujarat is now back with Zuuperman-A Triathlon Series. Zuuperman gives equal opportunity to all age groups. We encourage participation from 8 to 80 years age group & provide opportunity to show their expertise through event like Zuuperman. This year we introduce event for kids in the age group of 8-13 years, we believe that this kids are the future hope for India at highest level & should be encouraged. Our initiative is supported by eminent personalities from various fields. 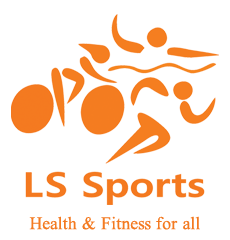 We at LS Sports look forward to promote sports in best possible way & encourage all age groups & children to come forward & participate. Saturday, 6th April 2019 Students Super Sprint Zuuperman - 300 meters swim, 10km cycling, 2.5km run for the age group 13<18 years. Sprint Zuuperman -750 meters swim,20 km cycling,5 km run. (18 < 40 , 40 & above). Sunday, 7th April 2019 Kids Zuuperman - 200 meters swim, 5km cycling, 1km run for age group 8 < 13 years.